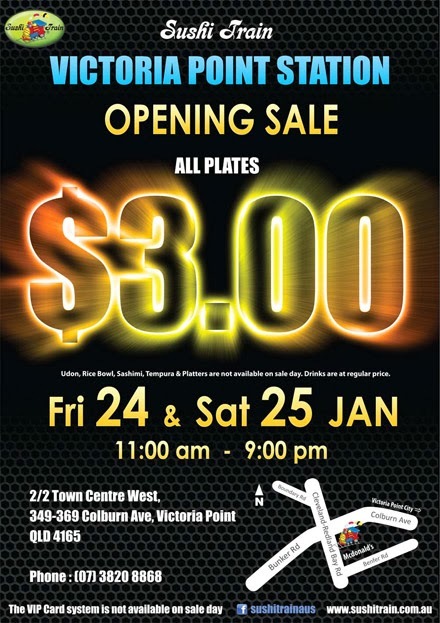 Udon, Rice Bowl, Sashimi, Tempura and Platters are not available on sale day. 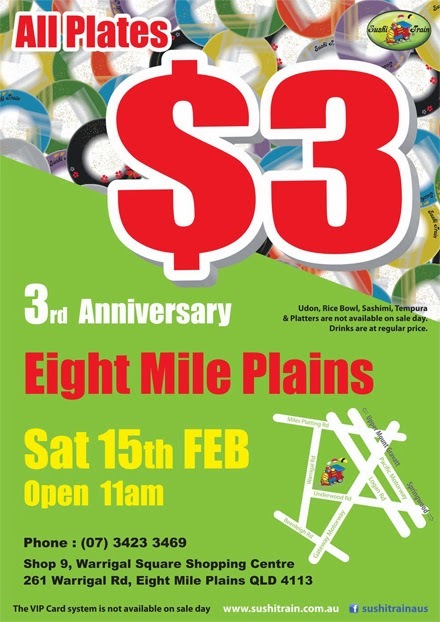 The Sushi Train Eight Mile Plains Station in QLD is to be closed on Sunday 16 Feb 2014, due to the minor shop maintenance. Management of the Sushi Train Eight Mile Plains Station. Sushi Train Central Market Station in SA is to be closed from 3pm to 5pm 16 Jan 2014, due to the air conditioning problems. Management of the Sushi Train Central Market Station.